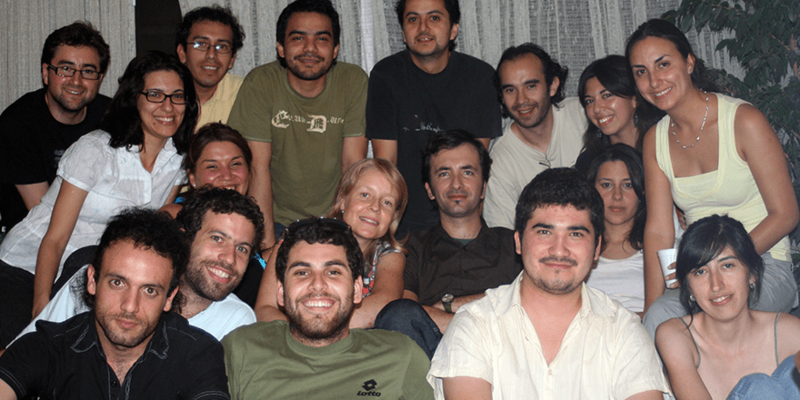 In March of 2007, Dr. Claudio Hetz opened his new laboratory as an assistant professor at the University of Chile. At the age of 31, his career had already spanned three continents and the fields of cell death, cancer, and immunology. He finished his PhD in four years, working with a laboratory in Chile and another in Switzerland, then pursued two consecutive post-doctoral fellowships at Harvard University. Dr. Hetz’s laboratory in Chile opened a new research area for the country—the molecular basis behind prion-related disorders and Amyotrophic Lateral Sclerosis (ALS). The most common form of prion-related disorders in human beings is Creutzfeldt-Jakob disease. The incidence of this disease in Chile is double the rate in the rest of the world, but the cause of this high prevalence remains unknown. Dr. Hetz’ lab would be the first to study this disease in Chile, and to collaborate with Chilean hospitals in order to analyze samples from patients affected with the disease. His goal was to transfer the technology he had learned abroad to study gene function and perform gene therapy. However, lacking the start-up packages common to beginning professors in the United states, Dr. Hetz’ initiation of this new research area would depend almost entirely on the help of colleagues worldwide. And equipment from Seeding Labs. Within a short time, however, Dr. Hetz’ lab was booming. He is training dozens of scientists. His research encompasses programmed cell death, ALS, and Huntington’s and Parkinson’s diseases. He is pioneering three different therapeutic strategies to reduce brain damage and neuronal dysfunction. He was awarded the TWAS-ROLAC Young Scientist Prize from the Latin American Academy of Science for the best young scientist in Latin America and the Caribbean.